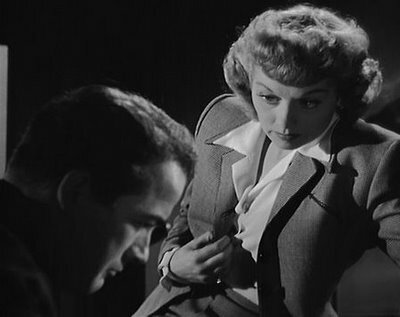 The Dark Corner (1946) Director Henry Hathaway’s (Niagra 1953, Kiss of Death 1947 )rhythmical detective Noir, with more than just one great line here or there to fill out the plot. Based on a story by Leo Rosten and adapted to the screen by Bernard C Schoenfeld (Phantom Lady 1944, Caged 1950, Down Three Dark Streets 1954, There’s Always Tomorrow 1955) and Jay Dratler. (Laura 1944, Call Northside 777 (1948), Pitfall 1948, Impact 1949, The Las Vegas Story 1952) Cinematography by Joseph MacDonald(Panic in the Streets 1950, The Young Lions 1958, Walk on the Wild Side 1962, The List of Adrian Messenger 1963, The Carpetbaggers 1964, The Sand Pebbles 1966). Music composed by Cyril J. Mockridge. 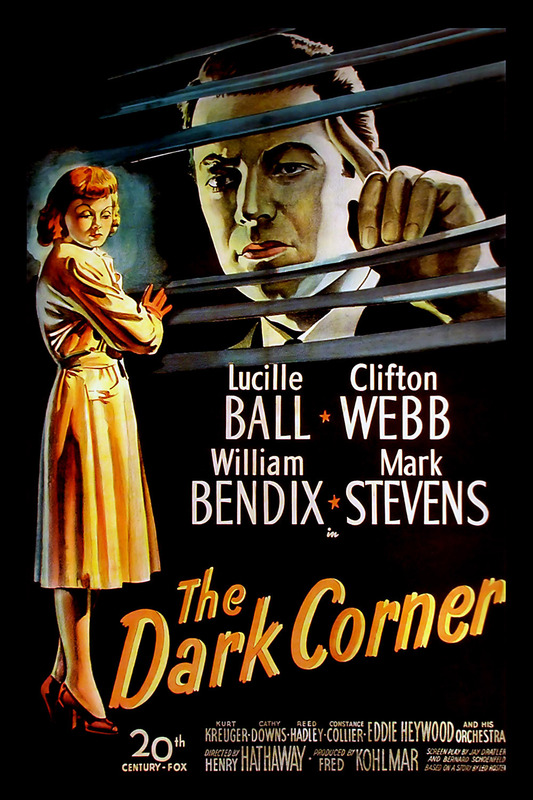 The Dark Corner is a particularly violent example of film noir the idea of a private detective being pursued by a gunman, whom he captures and proceeds to smash his hand and smears his white suit in order to make him confess to the reason he is tailing him. Later when William Bendix (white suit) breaks into the detective’s apartment he knocks him out viciously and before he leaves, he pays him in kind by stomping on Mark Steven’s hand while he’s unconscious. Dark Corner pushes the limits in drawing out anxiety in the audience. Still as yet Bradfor Galt the private eye (Mark Stevens) cannot imagine why he is being persecuted and hunted down. He doesn’t even know the identity of his enemy. There is an Machiavellian villainous master-mind who is pulling the strings, and Galt is merely a puppet but not the true object of his ire. The great thrust of this narrative is the sense of meaningless suffering mixed with the motiveless persecution. In most Noir films there are the elements of existential anguish– the angst that runs through the central characters’ narrative. Bradford Galt is a prime example of the detective with this sense of being at the mercy of his past burden, the one that haunts his present life. He got a fast shuffle out west, accused of a crime he did not commit, serving time in prison for vehicular manslaughter, set up by his partner-the double-crossing dandy Tony Jardine (Kurt Kreuger) Now he just wants the chance to start up a legitimate business as a Private Detective in New York City. 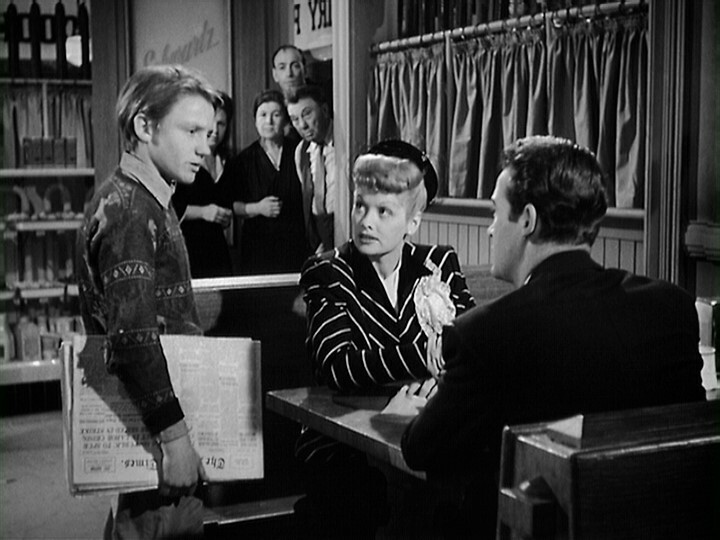 Lucille Ball is Kathleen Stewart his always faithful and trustworthy secretary who is with Galt for keeps. 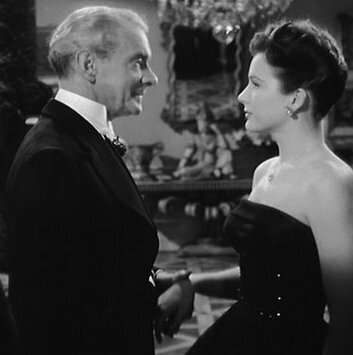 And then there’s the inimitable Clifton Webb as Hardy Cathcart who reprises his role at the effete love-struck snob Waldo Lydecker in Otto Preminger’s Laura (1944). In The Dark Corner he plays the overrefined art dealer who’s sanctimonious utterances drives much of the film’s best lines. William Bendix is the quintessential homicidal thug, Cathcart’s paid muscle, Stauffer alias Fred Foss who’s been hired to shadow Galt and unnerve him just enough to manipulate Galt into having a confrontation with ex partner Tony Jardine in hopes of framing him for his murder by creating a motive for Jardin’s murder. Jardine is a man who blackmails women with incriminating love letters, in addition to having set Bradford Galt up for the previous manslaughter sentence, he is having an affair with Cathcart’s wife Mari (Cathy Downs) giving him money and jewels so they can take their stash and run away together and there in lies the tale of revenge. Galt is just the patsy, the fall guy and the sacrificial goat. Hardy Cathcart has a psycho-sexually grotesque obsession with his wife Mari played by Cathy Downs In fact, his icy preoccupation with owning fine things in particular his wife, who bares a striking resemblance to a rare painting, presenting Webb’s character as a collector indeed, by entrapping his wife in a marriage as the ultimate ill fated ‘object’. 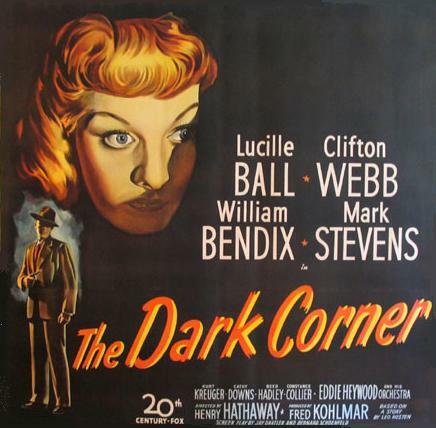 In the realm of the Noir as detective yarn, The Dark Corner goes smoothly through each scene, darker than some contributions to Noir, it is sustained by some memorable dialogue and a psycho-sexual current that flows underneath the narrative. In particular Cathcart as coded-gay character, which I will cover in my upcoming feature Queers & Dykes in the Dark: Classic, Noir & Horror Cinema’s Coded Gay Characters. 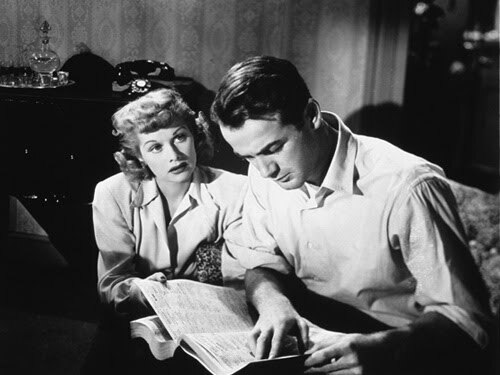 The Dark Corner utilizes some of the characteristic visual motifs of the Noir film The frame within a frame, which creates the environment of imprisonment. Bradford Galt is an iconic figure who’s existential anxieties create the trope of no way out. Bradford Galt murmurs “There goes my last lead. I feel all dead inside. I’m backed up in a dark corner, and I don’t know who’s hitting me”. This reflects the uncertainty of the character’s situation. Mired in the existential despair of going down blind alleys and not being able to see who his enemies truly are. There is a very memorable scene in The Dark Corner which has a very vivid moment of someone being flung out a window. I guess defenestration is a popular method of character disposal in Noir/Thrillers. Being hurled out a window is quite a drastic way to die, lets say rather than being shot in the heart once with a small pistol. Defenestration is an utterly violent way to die. 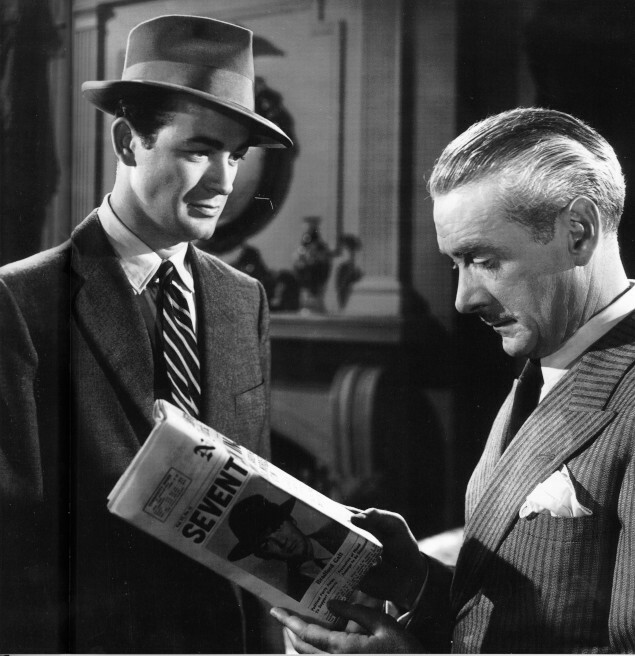 The Dark Corner has other inherently typical themes of Noir in addition to the detective yarn, it also shares the “wrong man archetype”. Galt has been framed for a crime he did not commit. For the first part of The Dark Corner it is also not made very clear the who and/or why someone, possibly this Jardine character is persecuting Galt. The chiaroscuro is used powerfully when obscuring the embrace of Jardin and Cathart’s wife’s downstairs in the lower level of the art gallery, while Hardy Cathcart stands off stage. This ambiguous shadow-play that Hardy Cathcart witnesses reveals that he might have known for quite some time about his wife’s unfaithfulness. More disturbing is the idea, that as his prized possession, wife Mari is an object d ‘art, a thing, that will remain with him even if she doesn’t love him, even if she’s been with other men. This is the main underpinning for the film. Without Cathcart’s sinister obsession there would be no story. Bradford Galt (Mark Stevens) is superb as the private investigator who after serving 2 years for vehicular manslaughter, in which he was set up by his ex-partner a shyster lawyer the suave Tony Jardine (Kurt Kreuger), Galt comes to New York from San Fransisco to start over. 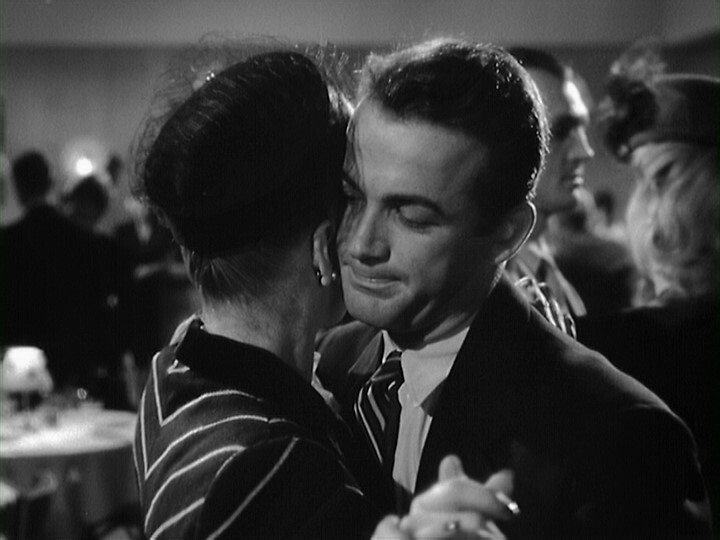 He’s got a kind of Alan Ladd, nice guy look about him. He opens up his new detective’s agency. Bradford Galt sits in his huge mostly empty office with one large desk and a map of the city on the wall, and a phone. Lt Frank Reeves ( Reed Hadley) is the ever present detective on Bradford Galt’s back, watching over him to make sure that he isn’t going to slide into any criminal behavior again, and let’s Bradford Galt know that he’ll be watched from here on out. The detective promised his friends in California that Bradford Galt wouldn’t get into any mischief, saying “He’s an impulsive youth” he’d be smart to keep it clean. One of the driving narratives of The Dark Corner is Bradford Galt’s self persecution and Kathleen’s need to prop him up and keep him from feeling sorry for himself. The more he tells her to forget him, the tighter she holds on and sticks by him. The banter between Stevens and Ball is highly palpable and it’s quite sweet the way they develop their relationship. Even when she mentions him being a detective and uncovering a pair of nylons size nine for her and he keeps saying he’ll make a note of that. It’s their chemistry, their adoring partnership that’s yet the other real focus of the story. (Frank Foss also known as ‘White Suit’ throughout the film) hired muscle and tail, dressed in an ‘out of season’ linen white suit is tailing Galt and his secretary very conspicuously, while the Galt and his new secretary and lady friend are on their first unofficial date, wandering through the Tudor Penny Arcade, they confer that white suit’s been tagging along. Both Bradford Galt and Kathleen notice him and conspire to get him up to Galt’s office. Kathleen is supposed to wait in a taxi and then follow Foss to where ever he goes. After Galt finds out what his game is. Once Bradford Galt gets hold of Foss (Bendix) he hits back hard, smashes his thumb with a rolled up wad of quarters used like brass knuckles and finds out that Jardine the ex partner who had framed Galt back in San Fransisco and is now after him once again. Or is this just a ruse, set up by yet another nefarious mastermind behind a scheme to frame Galt for murder once again. This sets off a chain reaction for Bradford Galt to uncover why Jardine is so interested in him again. Bradford Galt roughs up Bendix, humiliates him, takes his wallet so he can remember his name and where he lives and when Foss spills ink on his desk, he wipes his inky fingers all over the nice white linen suit. Bradford Galt also breaks Frank Foss’ (Bendix’s) thumb. Which becomes significant later on in the film. During the film Bradford Galt is as sullen as a wounded animal having been set up a few years earlier by his ex partner and now is being targeted once again, but this is secondary to the plot. 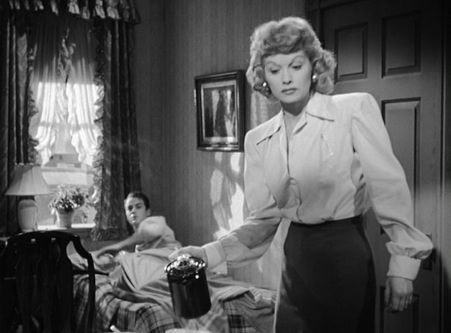 It’s the vehicle for which Galt can finally put the demons from the past to bed and start over as a stronger more complete man who’s found his strength and love in his “faithful noir lady” Kathleen(Lucille Ball), who dotes on him and is the strong shoulder to lean on, whenever things get confused or dangerous. Kathleen’s in it for keeps. The one liners are great in this film. And there are so very many of them. Webb is perfect as the pretentious predatory art gallery, he’s a snobbish fop who is more concerned about his collectibles namely his wife Mari though he connects them with his sense of pride, dignity without any moral principal. His wife being his possession and keeping her as such, is the only thing that matters to Cathcart. The Dark Corner is filled with quirky, interesting moments that fill out the landscape with memorable plot devices. 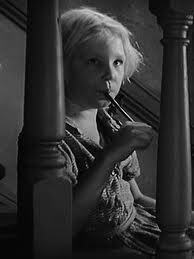 One such wonderful element is when the little blonde girl who keeps playing her penny whistle irks Bendix’s character and adds a light comical edge to the picture. Galt is being hounded by Bendix using the alias name Foss who doesn’t succeed in running him down with his car, detective Frank Reeves is trailing Bradford Galts’ every move to make sure he isn’t into any unsavory business. Tony Jardine looms over Bradford Galt, the memory of having been framed for manslaughter by Jardine who doused him up with booze, puts him in the car and leaves him to take the rap for killing a truck drive. At times we see Galt as he sits in his big mostly empty office except for his desk. This shot makes him look small and swallowed up. Again, Joseph MacDonald’s cinematography frame the shot within an atmosphere of entrapment. Bradford Galt: “I can be framed easier than “Whistler’s Mother”.